A westbound transfer run on the former Erie mainline is about to pass the Warren, Ohio freight station with a short train, including one of the hot metal "bottle" cars being transferred from one steel facility to another. A train with a load of scrap metal waits on the Baltimore & Ohio Newton Falls Subdivision at right. 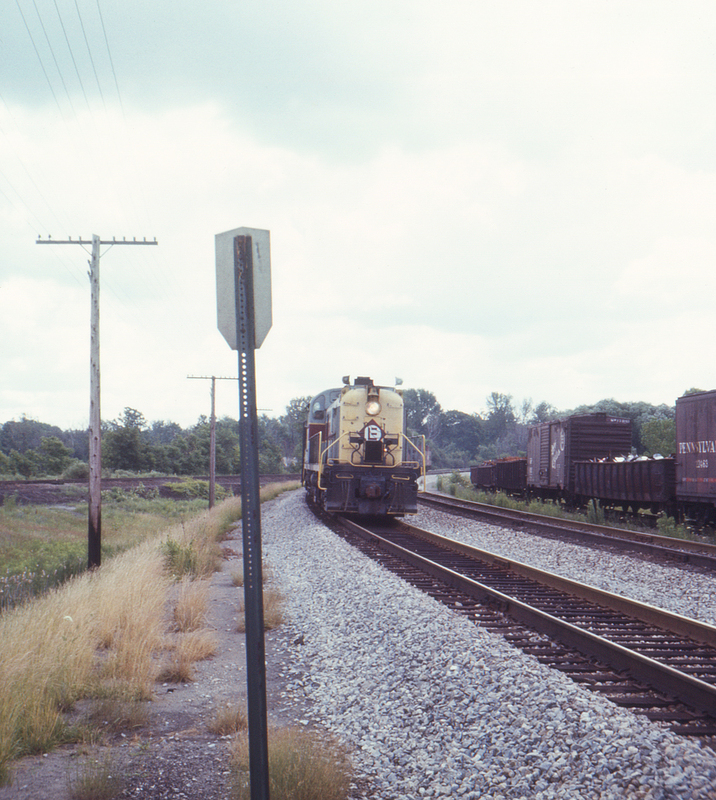 The track in the left background is a stub of the former mainline, which was relocated in 1965-1966 to eliminate street running on U.S. Highway 422.